. 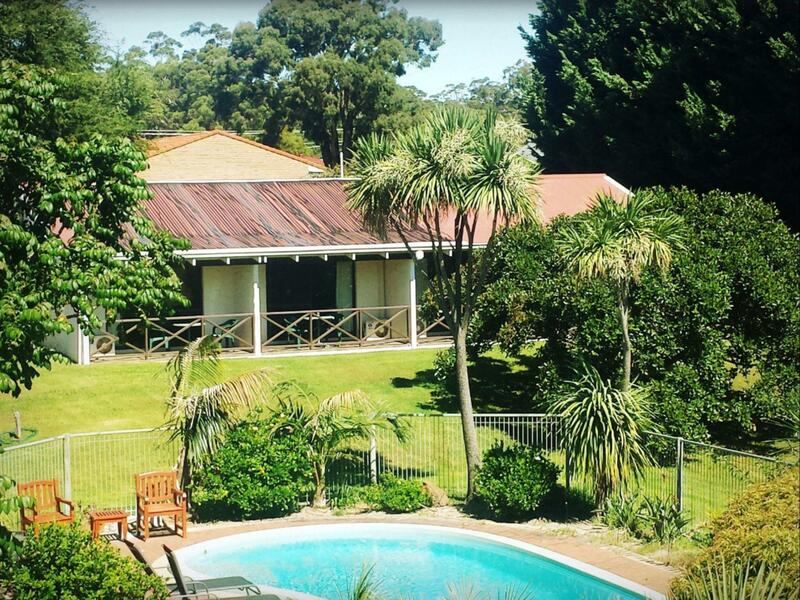 إن Karri Forest Motel حريص على توفير الراحة للنزلاء، فلا يوفر الموظفون جهداً في تقديم أفضل الخدمات وضمان حسن الاستقبال. هذه بعض الخدمات الموجودة في هذا الفندق: واي فاي مجاني في جميع الغرف, واي فاي في المناطق العامة, صف السيارات, غرفة عائلية, مرافق للشواء. بالإضافة لهذا,تتضمن كل غرف الضيوف مجموعة واسعة من وسائل الراحة . بعض الغرف توفر حتى تلفزيون بشاشة مسطحة, اتصال لاسلكي بالإنترنت, غرف لغير المدخنين, مكيف هواء, تدفئة لإرضاء أكثر الضيوف تطلباً. صممت خدمات الاستجمام في الفندق والتي تتضمن مركز للياقة البدنية, حمام سباحة خارجي, حديقة لمساعدتك على الاسترخاء والراحة. 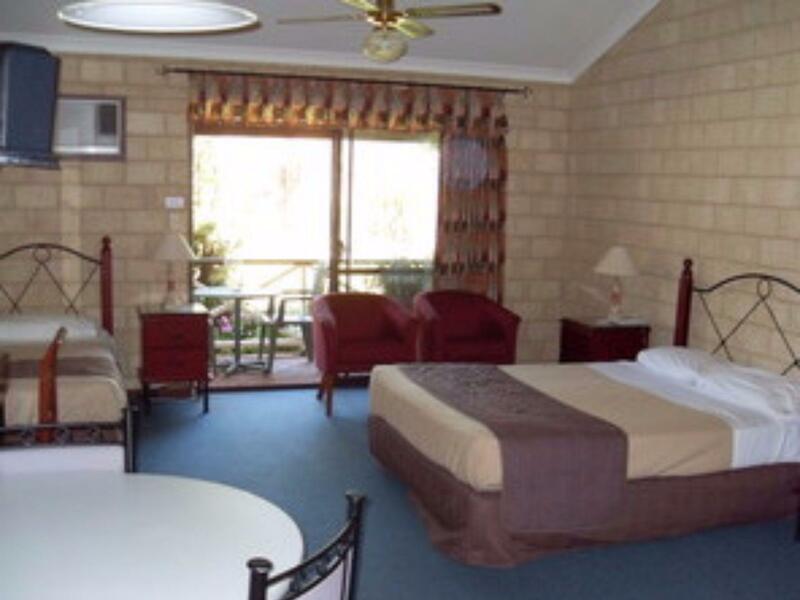 إن Karri Forest Motel هو خيار ذكي بالنسبة للمسافرين إلى بيمبيرتون، بما يوفره من إقامة هادئة ومرحة. the key was dropped outside the reception. very easy to check in by myself. The room is excellent. the cat is so cute. She played with me initiatively. Did she want milk from me? Driving is the only choice. not too close to the town centre. A couple of small maintenance issues - shower head didn't stay up right, no wine glasses just two drinking glasses (but management did give us glasses - my friends were in the next unit) and a light globe wasn't working on the bed head. But all good. Pemberton is a little town but within just a few miles if the Gloucester tree climb. This motel is nearby and has a country feel. 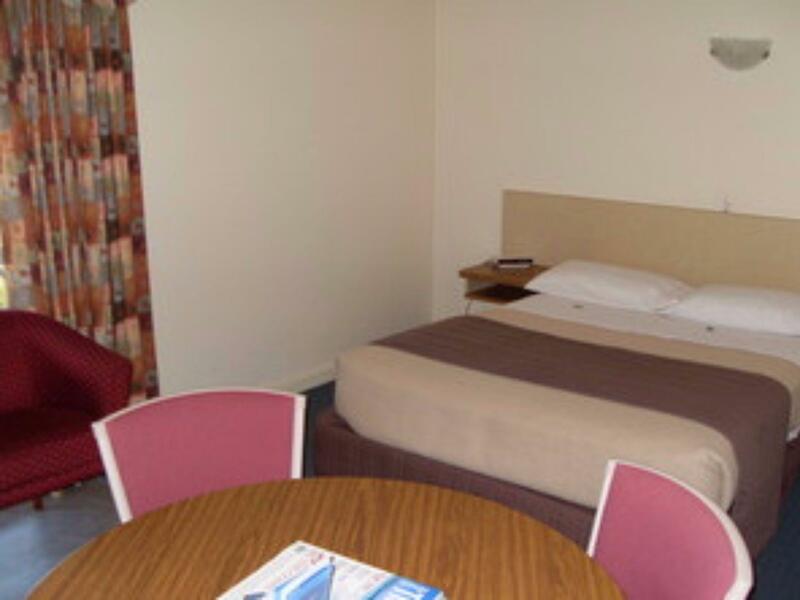 Nice big room with frig, microwave, coffee and tea. The town closes down about 6:00 pm but the motels restaurant is open. Nice porch if you're a smoker. Didn't try the pool but the workout facility is very nice. Very impressed with cleanliness, location and service from the staff. Although the prices were a little stiff (maybe that's common with fine dining restaurants), we enjoyed it very much. God willing will recommend to friends in the future. Thank you all involved. Hot water good, bed comfy . 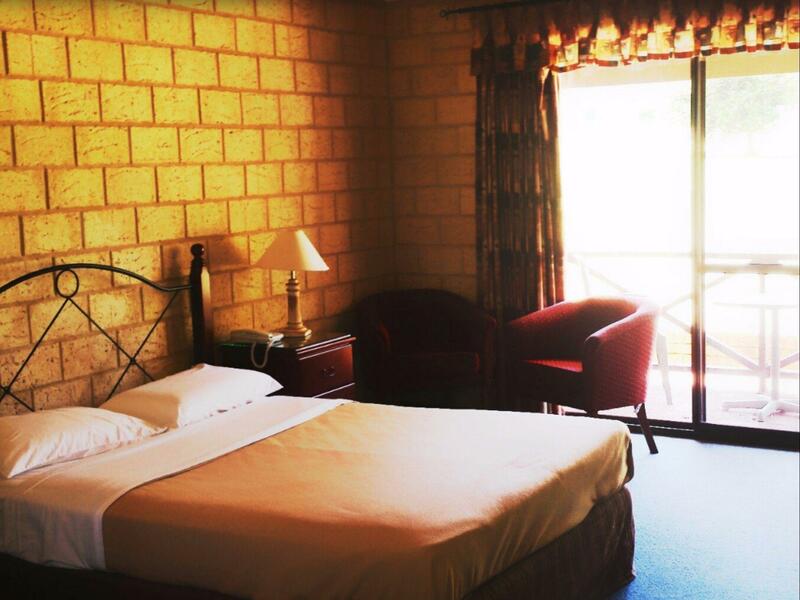 Had a standard room , which had a small balcony facing lawned , pool, barbecue area. ( better outlook than our friends balcony which faced car park!) 10 minute walk to main road where there was an Indian restaurant, the Best Western Hotel which has restaurant / bar also. IGA also there. A very short drive from the Gloucester tree. Restaurant is still closed on site . If u do not mind these things, it’s a okay stay Wifi doesn’t work. It’s connected but you can’t serve any APP that requires internet connection. The shower is either cold like ice or burning like coal. No matter how you ‘mix’ them, you will not get the right temperature to have a decent bath. The only good thing is that the hotel serve great steak n Seafood. The location was perfect for us central but off the main road. The restaurant was excellent with a really good menu. Staff were very friendly and personable. We had a very enjoyable stay would be happy to stay there again. We had a standard room. The furniture was dated but the bathroom was recently re-done and very nice. The pool looked fine but we didn't use it. The gym didn't have much equipment so we didn't use it. In sum, a fine room for a night. Restaurant dinner superb, & restaurant staff were excellent with recommendations. Counter staff appeared a little tired after a long day, (we arrived at dinner), provided 1 chalet when we booked 2, but on my insistence, eventually found my 2nd booking at bottom of page. We booked 2 chalets, but was provided only 1 initially. Only upon my insistence, staff scrolled thru computer system to locate my 2nd booking at bottom of page; end of long workday maybe counter staff is tired. Restaurant dinner superb, & restaurant staff were excellent! It was OK, it is a good stay in between 3 star and 4 star level. We had no problems and could easily come and go. restaurant (we took a burger) is OK, but actually too expensive (as the whole of Australia is). The all important wi-fi was not working. No instructions on the room and front desk was after-hours. Rest of stay was good. Rooms were comfortable and clean. Overall OK but not spectacular. Would stay there again depending on the price. We booked a 2-bedroom stay for family of four and the decision to select the hotel was based on the 4 star rating. The place looked run down and it looked like one of the bedroom was converted fr a supposedly living room. This is the only place where there wasn't a separate sink. The only sink is the one in the toilet and it was extremely inconvenient if someone is using the toilet. The light in the room was spoilt. The TV in the other bedroom was not working. When my daughter was taking her shower, the heater went off (and it's winter!)!! 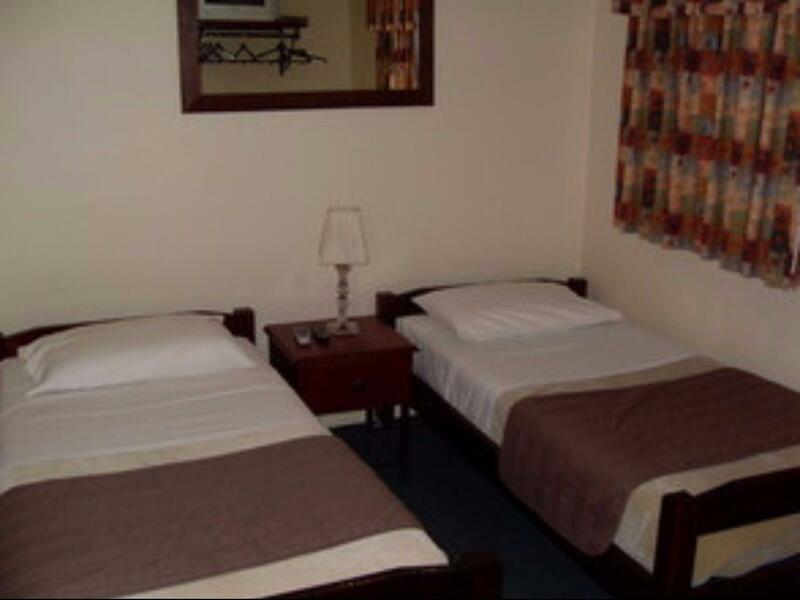 it is clean, comfortable and with friendly staff..
my friend and i are very satisfied with the hotel room but the restaurant is closed on sunday so we are not managed to try on the food.. and honestly, it is quite hard to get a dining place on sunday nighy at pemberton.. overall, it is a good hotel!! Good location, would recommend. Stayed one night on route to albany enjoyed the tranquil setting so stayed for another two nights on the way back. Good pool and BBQ area amongst well kept gardens. Close to town for use of old australib pub, good food. Close to karri forest for walks. 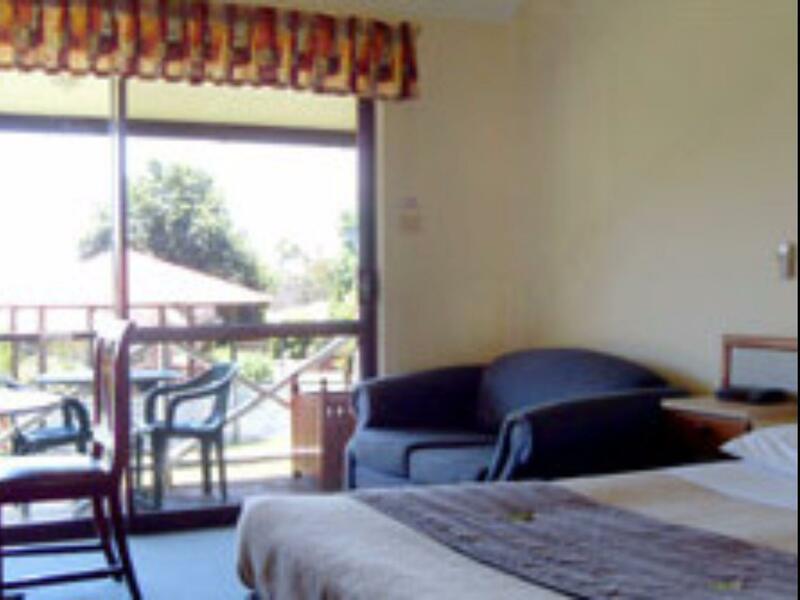 Karri forest motel is lovely and perfect for anyone. The staff is friendly and helpful. The room is huge and clean! It has free wifi and parking. Perfect for anyone! !